Despite cold and rainy conditions, the Sun Angel Track Classic celebrated its 30th edition in style. Meet honoree, former Sun Devil and 2004 Olympic long jump gold medalist Dwight Phillips participated in the 100 and 200 meter dashes. Fireworks punctuated the start of the Premiere (evening) session, and sparkling pyrotechnics lined the runway for Matt Turner’s final long jump. The meet concluded with fans lining the track for the Premiere heat of the men’s 1,500 meter run. 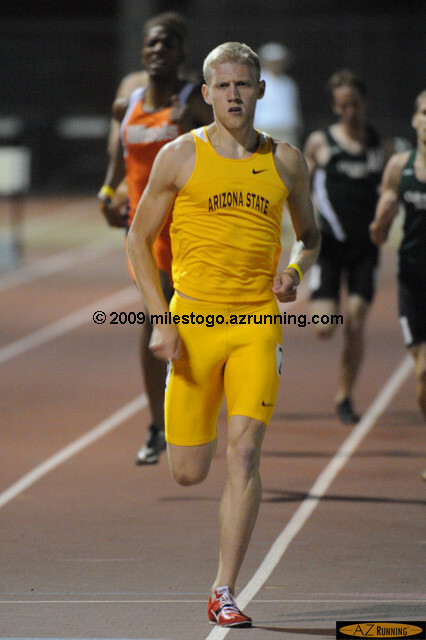 On March 28, the Arizona State University Track and Field program hosted its second meet of the 2009 outdoor season, the ASU Invitational. The meet produced 17 NCAA regional qualifying marks for the Sun Devils, 120 total NCAA regional qualifying marks, seven meet records, and one stadium record. Kara Patterson, the 2008 US Olympic Trials champion competing for Purdue, established the new stadium record when she tossed the javelin 58.41m to win the women’s competition. 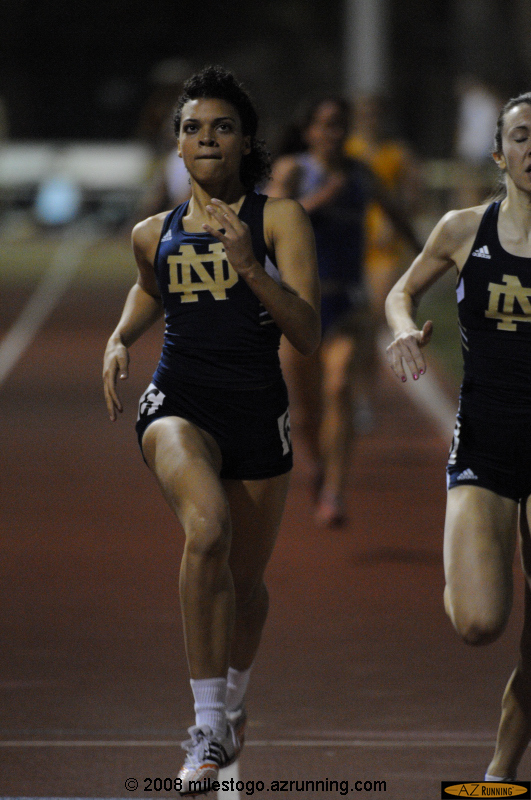 Local track fans also had a chance to see former Arizona high school state champions Kristin Phillips and Natalie Johnson compete for their respective out-of-state schools. 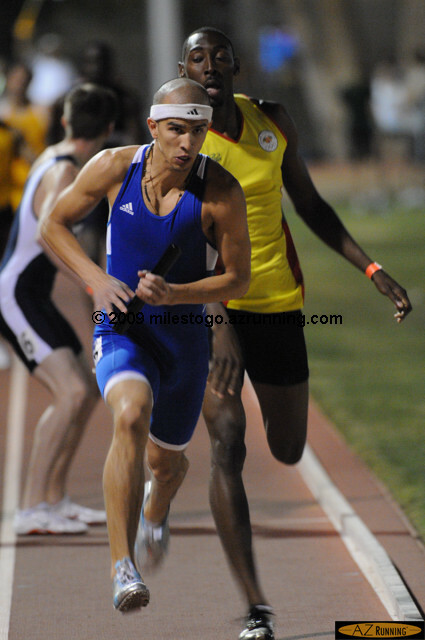 On March 21, the Arizona State University track and field teams hosted the Baldy Castillo Invitational in Tempe, AZ. In College Station, Texas on the previous weekend, both teams placed fifth at the 2009 NCAA Indoor Track & Field Championships. The meet is named in honor of former Sun Devil track and field coach Senon “Baldy” Castillo, who passed away on January 31 at the age of 90. 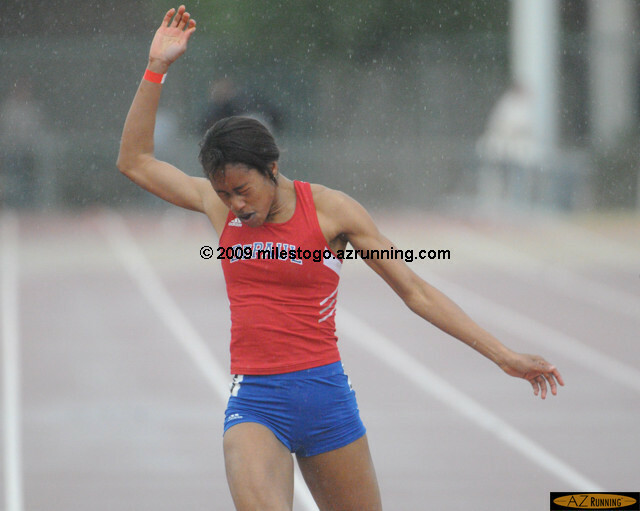 Day 2 of the 2008 U.S. Olympic Team Trials – Track and Field was sultry, both on the track and off. The announced temperature in Eugene was above 90 degrees, which was perfect for fast times in the women’s and men’s 100 meter dashes. Tyson Gay rebounded from a disappointing first round race to establish a new American Record for the 100 meter dash. 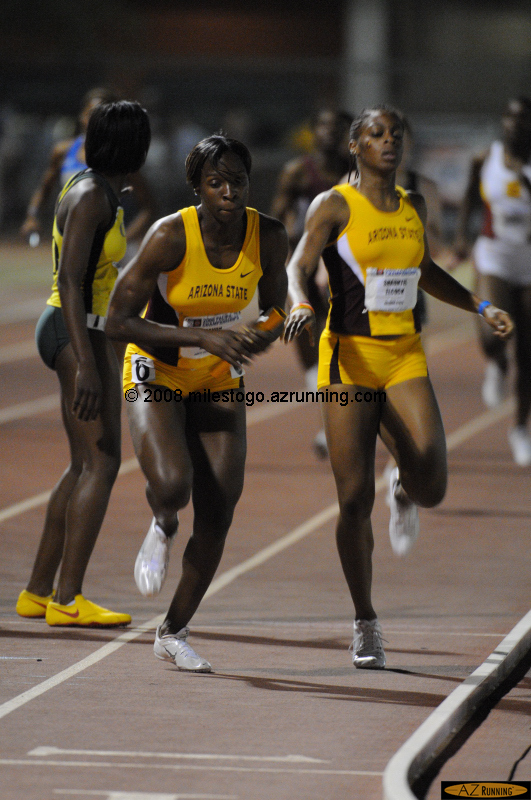 Former ASU Sun Devil Jacquelyn Johnson placed second in the heptathlon, to join Hyleas Fountain and Diana Pickler in Beijing. The Arizona State University women and University of Oregon men successfully defended their PAC-10 track and field titles on Saturday night in Tempe, AZ. The Sun Devil men’s team came within 1.5 points of the team title, after placing first and second in the 200 meter dash, and first in the triple jump. 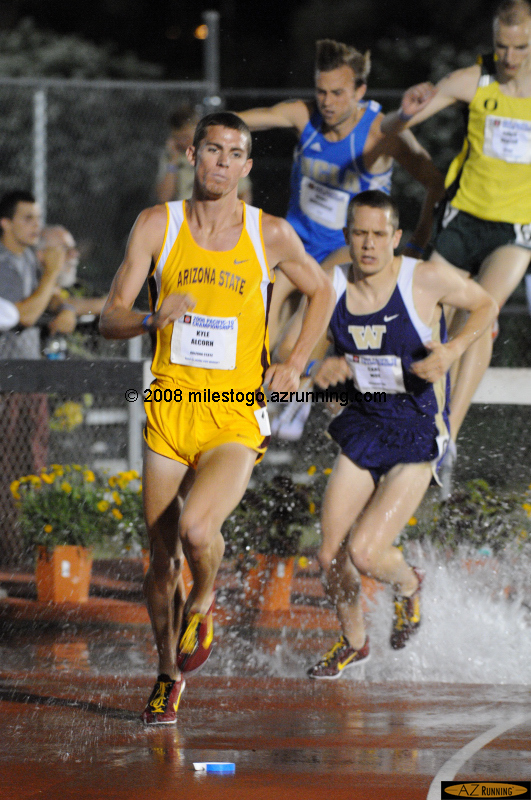 ASU senior Kyle Alcorn added the 5,000 meter title to his 3,000 steeplechase victory from the night before. 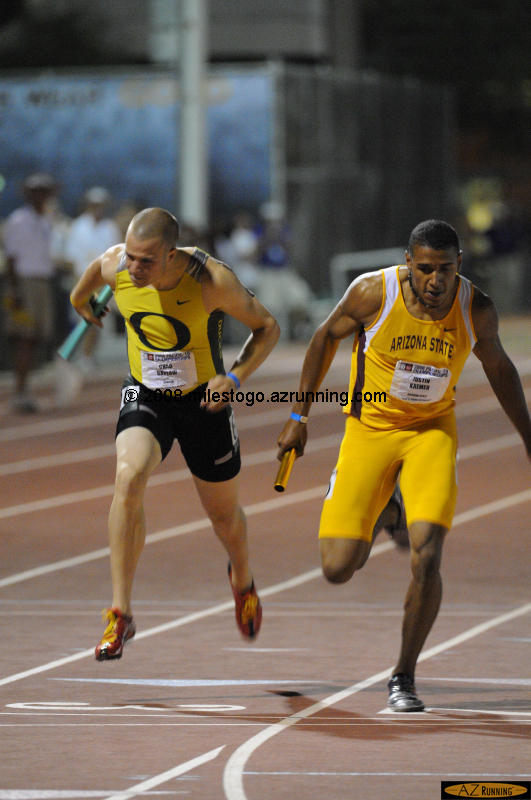 The Sun Devil 4×400 meter relay team ended the night with a thrilling victory over Oregon. 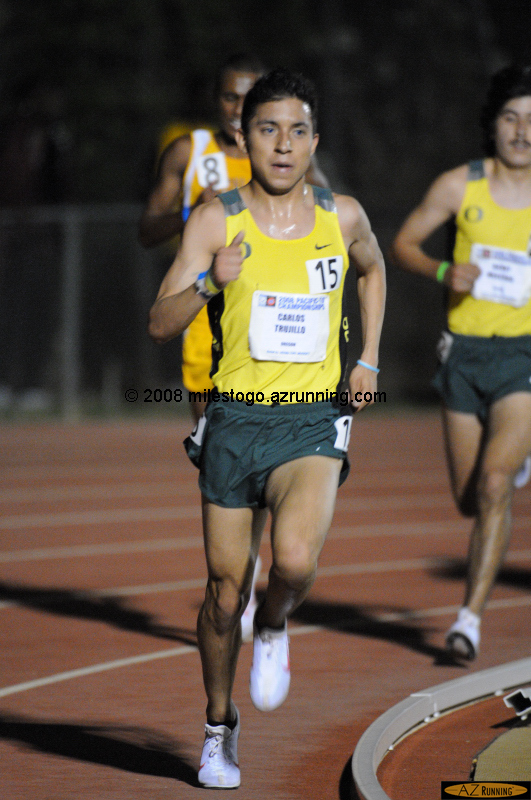 However, the late surge wasn’t enough to overcome Oregon’s depth in the 5,000 meter run, where the Ducks placed five among the top eight finishers. The Sun Devil women’s team won their third straight team championship, with solid performances in the field, sprints, and distance events. The Arizona State University women and University of Oregon men lead the PAC-10 Track and Field Championships presented by 76 Gasoline after Day 1 of competition. 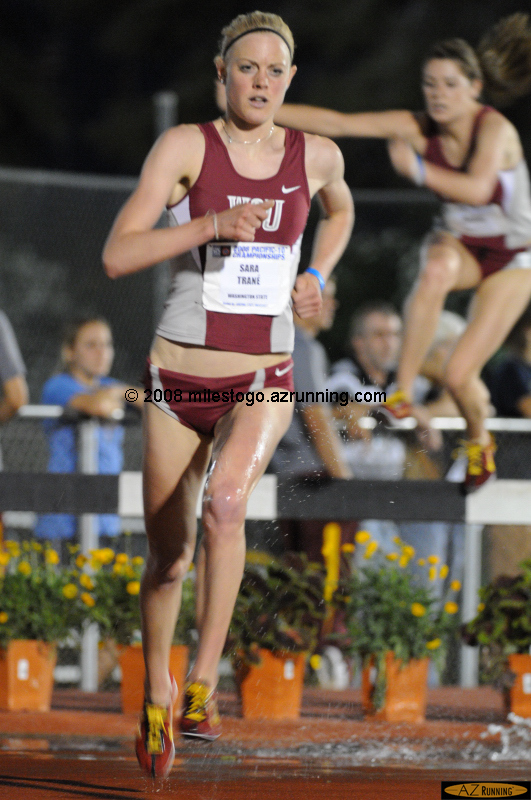 The Sun Devils claimed four individual titles during the day. The Sun Angel Track Classic celebrated its 29th edition with several meet records, and a Paralympic World Record in the men’s high jump. 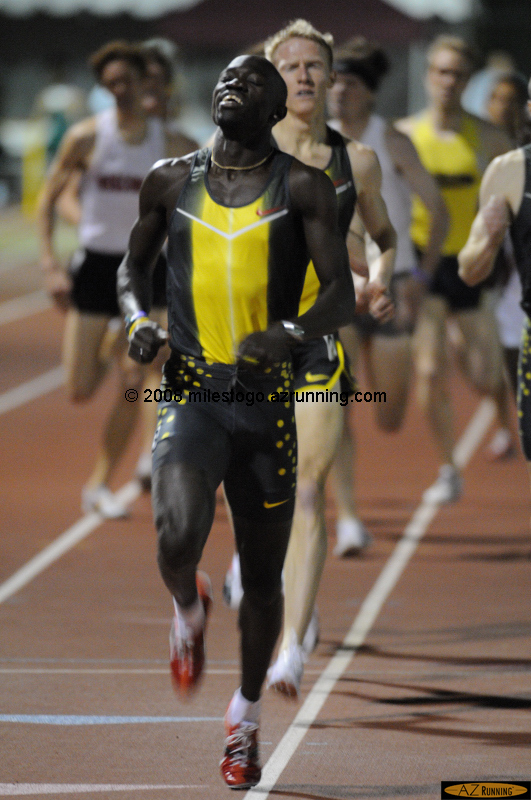 Lopez Lomong led the charge in a scintillating Men’s Invitational 1500 meter run, where the top 11 finishers ran sub-3:43. 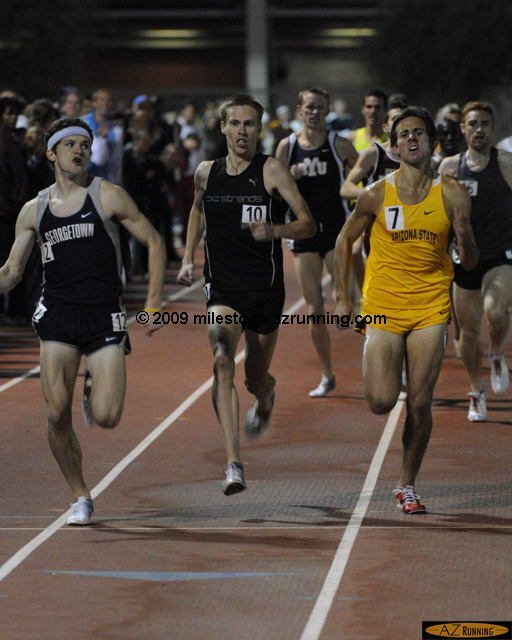 The Arizona State University Track and Field program hosted its second meet of the 2008 outdoor season, the ASU Invitational. 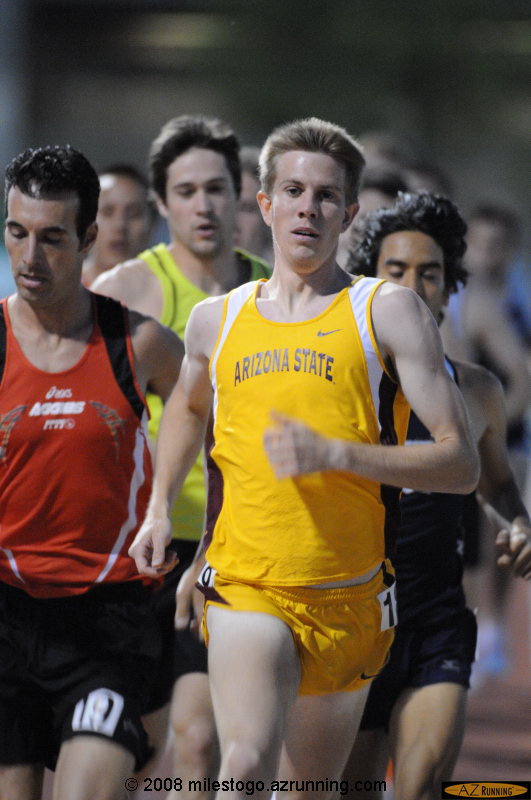 The meet produced 17 NCAA regional qualifying marks for the Sun Devils. It was also a homecoming of sorts for several former Arizona high school state champions, including Kristin Phillips, Tara Erdmann, and Natalie Johnson, who were competing for their respective out-of-state schools. 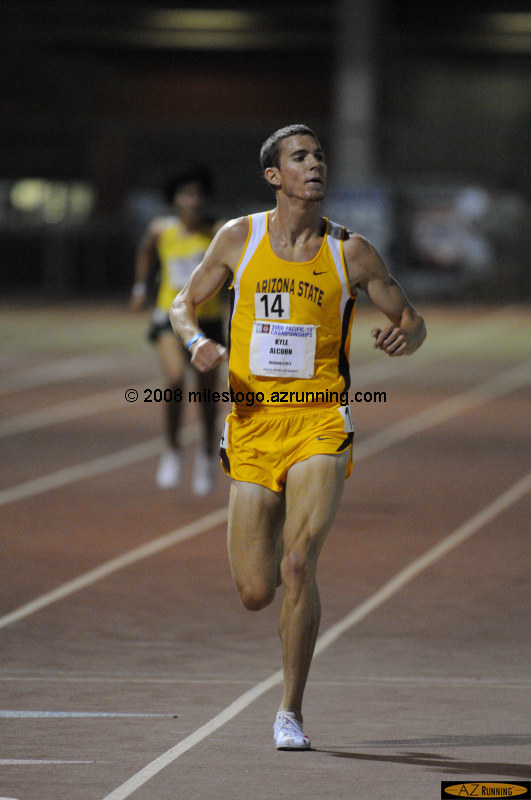 One week after sweeping the men’s and women’s team titles at the 2008 NCAA Indoor Track & Field Championships, the Arizona State University Track and Field teams hosted the Baldy Castillo Invitational in Tempe, AZ. 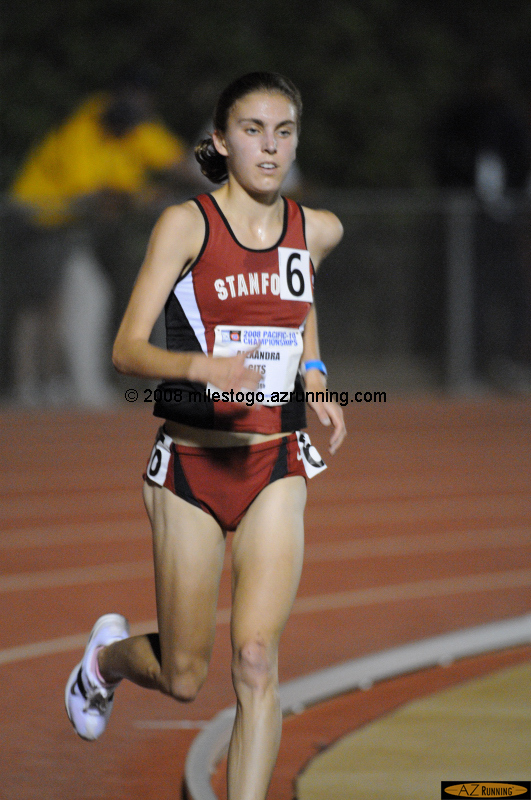 Jordan Fife of Team Indiana Elite established a new meet and stadium record in the 3,000 meter run; Renee Metivier Baillie established a new meet record in the women’s 3,000 meter run.